Jason (Foxworth) is a successful financial consultant who’s plagued by nightmares of his ancestor, a missionary who violently converted natives on the islands of Hawaii and ultimately murdered by a priestess (Nuyen) during a tribal ceremony. Particularly troublesome and perhaps foreshadowing is a fanged creature that keeps appearing in his dreams. Ooga booga! Where’s the macaroni salad? Worried about his mental health, his consults his doctor who prescribes a vacation in Hawaii. So off he goes to the sunny islands where he soon hooks up with convention planner Diane (Trentham). Meanwhile, hotel security chief Rick (Penny) investigates a series of break-ins on the resort while trying to nail stewardess Sherry (Scott). He is immediately drawn to Jason as a suspect when he starts behaving strangely. His behavior is fueled by the continual nightmares which intensify as he starts hallucinating the priestess hovering him as he sleeps. He really freaks out when he actually bumps into her on the street. We've all seen this "Aw hell no" look before. RUN! Jason learns the woman’s name is Tapulua, a well-known practitioner of black magic on the island, and uncovers the legend that his ancestor was cursed and well as killed for his atrocities. Jason’s condition worsens as he sweats, convulses, and blacks out at the very sight of the full moon. Impending werewolf transformation or shart? Sherry is found ripped to shreds in her hotel room, and Jason is unable to account for his whereabouts the night before. Rick's suspicions about Jason grow stronger but he's distracted by his hunt for the thief (Haid). He nonetheless grows ever more convinced of Jason's hirsute shenanigans when other resort guests are murdered. Jason runs away with Diane who quickly learns all about werewolves' commitment issues. C'mon baby, can't we just Netflix and Arrrooooowwww?!!! Rick saves the day just in time as Were-Jason fully transforms after being drawn to the location of his ancestor's demise. Rick plugs him full of lead (which I guess kills werewolves? ), departs with Diane, and totally doesn't look back to see Jason's totally dead body. Next time, I'm going to Tahiti. 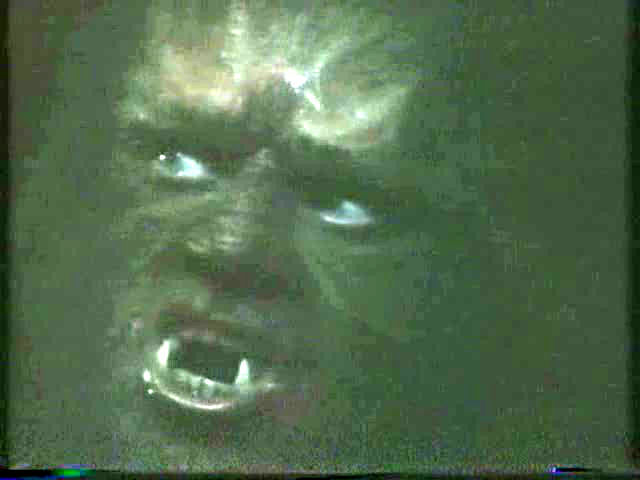 While searching for obscure horror movies to watch this month, I came upon a reference to one I’d never heard of: 1978’s Death Moon, a werewolf movie starring Joe “Riptide and Jack and the Fatman” Penny. I thought, well sure I liked that guy in that 1980s series I used to watch so why not? But it wasn’t until I actually started to watch the thing that I realized it’s a made-for-TV movie. No self-respecting horror fan wants to sit through a TV movie unless it’s Salem’s Lot. But in the 70s, the major TV networks (we only had three back then, kids) produced a series of pretty good and entertaining made-for-TV horror movies like Duel, Trilogy of Terror, The Night Strangler, and a sentimental favorite of mine Devil Dog: The Hound of Hell. The quality of these varied with the aforementioned probably being the cream of the crop along with several more. Hell, even the bad ones were watchable and greedily anticipated by little tubby 70s Tremendito. Unfortunately, Death Moon is not cream of the crop. Maybe meh of the crop. It’s strictly a by-the-numbers werewolf flick with little story depth, engaging characters, or hairy scares. Director Bruce Kessler, a veteran of hundreds of hours of TV shows, brings little to nothing here, despite having directed 1971’s supernatural Andrew Prine starrer Simon, King of the Witches. I watched a VHS copy of this film and either the tube TVs of yesteryear were far brighter than the LED widescreens of today or the movie was filmed in almost complete darkness. Foxworth and Penny do their job, Trentham (a former Mrs. John Cleese) is fine, and it’s always nice to see legendary 70s TV That Girl Debralee Scott (R.I.P.). Who remembers Hotsy Totsy? Anyone? Shot like a Fantasy Island episode only not good, Death Moon is slow paced, monotonous, and not recommended for your Halloween marathon unless it’s 1978 and you’ve just finished watching the Paul Lynde Halloween Special. It looks like they’re wearing each other’s sunglasses.